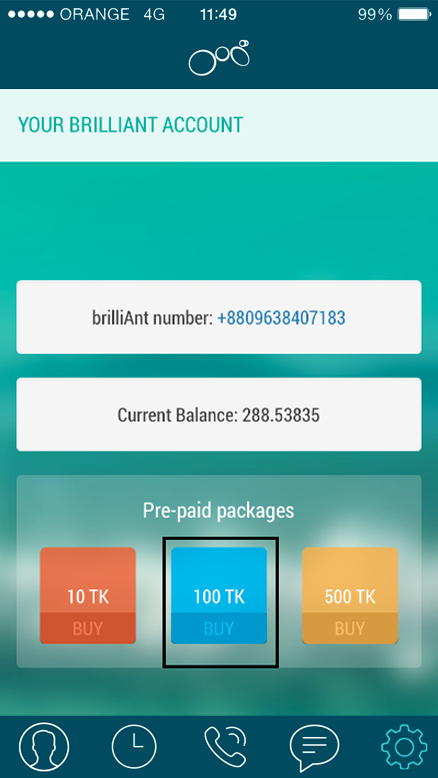 Congratulations on downloading brilliant CONNECT on your iPhone! Download brilliant CONNECT App from App store and install it on your phone. The user needs to enter a phone number. The user needs to enter the verification code on the registration screen. Green brilliant CONNECT: You are connected to 3G or Wi-Fi and you can make and receive calls. Red brilliant CONNECT: No connection to 3G or Wi-Fi. You cannot place or receive calls. Close the application and restart it. Confirm that your phone is connected to Wi-Fi or 3G. 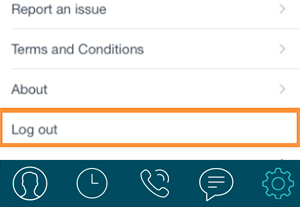 Ensure that in the brilliant CONNECT app’s “Settings” menu, the “brilliant CONNECT Mode” is enabled (i.e. check marked). Please make sure that the brilliant CONNECT app and the phone are on the same network. 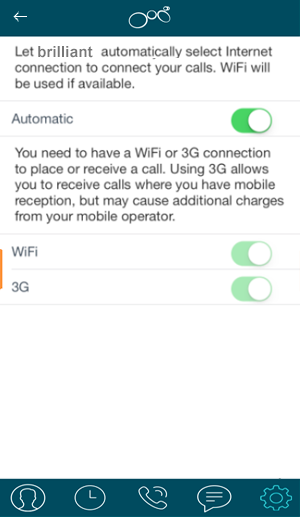 Settings → Network Settings → WiFi/3G. 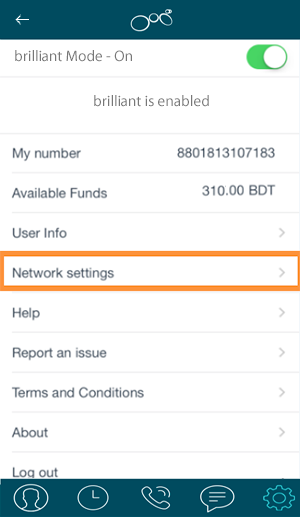 We recommend the user to use “Automatic” option in network setting at brilliant CONNECT app. 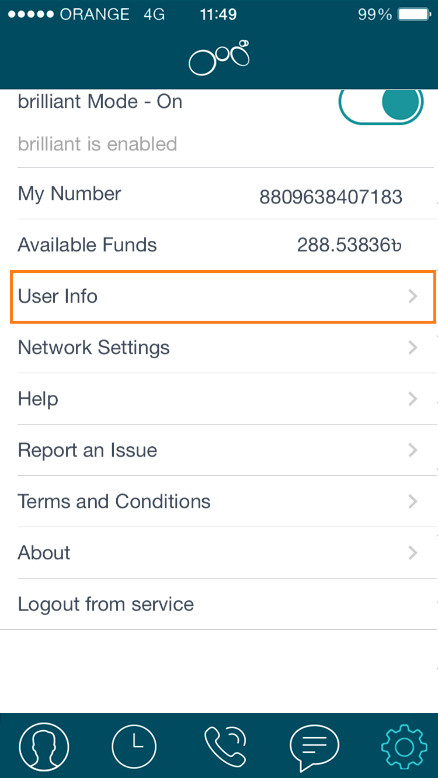 First the current account has to be deactivated. To deactivate, go to “Settings”, then tap on “Logout from service”. Then register using a new phone number. The User has to go to the Settings Tab. The user then has to go to the User Info tab. Then user will get the package details and need to choose his preferred package. Then the user will get the payment option. 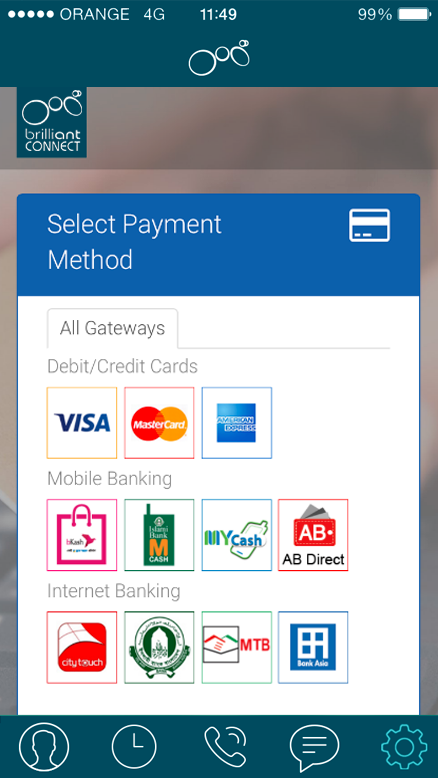 The user can choose his desired payment method. Providing all transaction details and required information, user will get desired package.